"I give Detox for Life my full endorsement and I am excited to help reach as much of the population as possible with this incredible educational guide. Read this book in its entirety and share it with friends. You’ll be glad you did." Dr. Dan Nuzum's 3-step process to optimize your body's ability to heal. Part 1, Stabilize–Sources of Toxins, will teach you how to stabilize your body and immediate environment by minimizing your exposure to toxins. Most people realize it is impossible to live a normal life and completely eliminate all exposure to toxins, so this section will help educate you about the most common and dangerous sources that we breathe, ingest, and absorb. When you understand that daily choices are either building your health or tearing it apart, you can empower yourself when you take active steps to minimize your toxin exposure. Part 2, Detoxify–Detox Concepts and Protocols, will teach you how to detoxify once you have stabilized your body; this is the most pivotal component in the body’s three-step healing process. This section explains why you need to detox, what a detox really is, and how to succeed during and after a detox. Supplementation is a critical part of both detoxifying and fortifying, and will primarily be discussed in part two. Four detox protocols of various intensity are included that anyone can benefit from, regardless of whether this is a new concept or you’ve been detoxing for years. Part 3, Fortify–Detox Diet Recipes, will help you fortify your body with optimum nutrition through recipes created by my wife, Gina. This is by no means a complete source for clean recipes, but rather an introduction to get you started preparing healthy, nutritious food. Gina has provided more than 50 recipes to help guide you along the correct path to eating healthy. Her detoxifying and fortifying recipes are absolutely delicious! I had been dealing with chronic migraines (2 or 3 a week) for over 2o years. I thought that I was destined to live with migraines for the rest of my life. Dr. Nuzum recommended his 2-Week Detox program included in Detox for Life. I had never done any kind of a detox program before so I wasn't too sure what to expect. The protocol clearly outlined all of the necessary supplements as well as a detailed menu plan and shopping list to help me stick with the detox program. 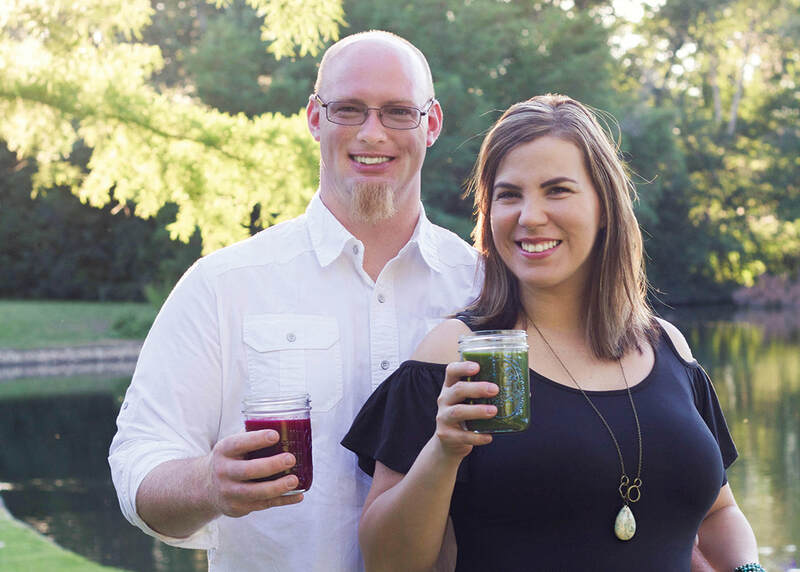 I also had access to a Facebook group that Gina, Doc Nuzum 's wife, maintains called Detox Your Way to Health. The menu plan was so helpful, taking away the guess-work of what I was supposed to buy and eat. By the second week, I was feeling FANTASTIC! I was sleeping better, I had energy when I got out of bed in the morning, I had energy throughout the day and.... the chronic migraines were GONE. Dr. Nuzum and Gina have helped to transform me into a different person and for that, I am eternally grateful. After only two weeks on Dr. Nuzum 's combination of detox diet and supplements, my breast cancer tumor had shrunk so considerably that my oncologist and the surgeon who performed my lumpectomy said it was "inexplicable" and "a miracle." I just said, the miracle has a name, Dr. Daniel Nuzum. As a life and health coach, I love knowing what food can do for maintaining health. The knowledge and resources Dr. Nuzum has to teach a person can completely turn their health around from a very compromised state to improved health. Whether a person needs to return to homeostasis or wants to reach new levels of health or mental clarity, Dr. Nuzum has the resources to make it happen for you. I have been struggling with thyroid and gut issues for more than half of my life and was recently diagnosed with Hashimoto's Disease. After struggling for 14 years without real answers, I found Dr. Nuzum. By my second appointment there was a night and day difference in me thanks to his detox, diet, and supplementation plan! I couldn’t believe how quickly I was beginning to feel like my normal self again, my brain fog was lifting, I was steadily losing weight, I had more energy, and my face was looking like me again. The same information he used to educate me in his office is in Detox for Life, so I know it will help anyone who wants to improve their health. I believe the whole world needs to know about Doc Nuzum! Get Detox for Life Today! Includes a full-color, 250 page print version of Detox for Life. Digital files are available for immediate download. Choose from the following file formats: Kindle, iBooks, ePub, and PDF. Digital files are available for immediate download! Choose from the following file formats: Kindle, iBooks, ePub, and PDF. Most people have learned about us through my appearances on The Global Quest for the Cures, The Quest for the Cure Continues, The Truth About Cancer, and The Truth About Detox documentaries with Ty Bollinger. We are extremely grateful to Ty and his team for allowing our message of healing and hope to reach as many people as possible. Because of the interest that followed, it helped us understand that we needed to put as much of our information into a book as possible. Gina and I have written this book together and it is our hope that through this content, you will derive a deeper understanding about the many sources of toxins, how they contribute to illness, and the process of detoxification, helping you further develop your own understanding of your body's natural healing process.